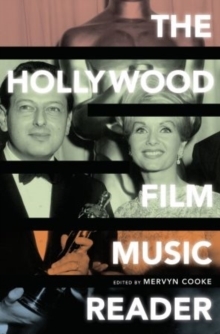 A rich and informative look at the experiences of composers working under high pressure in the US film industry, The Hollywood Film Music Reader brings readers from film's earliest days to the modern blockbuster era. Beginning with the origins of movie music in the heyday of silent film, the book traces film music's progress through Hollywood's so-called Golden Age to changes in musical styles and working practices from the 1960s to the present. Alsoincluded are vivid first-hand accounts from composers such as George Antheil, Elmer Bernstein, Aaron Copland, Adolph Deutsch, Jerry Goldsmith, Bernard Herrmann, Henry Mancini, Thomas Newman, Andre Previn, David Raksin, Miklos Rozsa, Max Steiner, Dimitri Tiomkin, Franz Waxman, and John Williams, along withtestimonies from composers working in animation and documentary film. The book concludes with a section of criticism and commentary, including an essay on film music by Sidney Lumet and Igor Stravinsky's provocative views on the subject.